Our dear sweet mom, Nellie Arleen Butters Norris, 88, was surrounded by family as she passed away on Monday, April 15, 2019. She was born in Ogden, UT, on October 3, 1930, the daughter of Willis Harry “Jack” and Elma Gladys Marlin Butters. She was raised in a loving family. Arleen graduated from Ogden High School Class of 1949. Arleen worked for Bartlett Motors, Dee Hospital, and for JC Penney in her early years. She met Kenneth Landsmer Norris at Lewis Junior High School. She was a cheerleader and he played the drums. They were married in the summer of 1952 on the 11th of July in the Logan Temple. A devoted homemaker, her hobbies included reading, volunteer work, and most of all being a loving wife and mother. A member of The Church of Jesus Christ of Latter-day Saints, Arleen spent many years in service. For 10 years she was the Primary President, then served in the Young Womens, later was Relief Society President, and also served in the Stake Primary Presidency. She loved her calling as a visiting teacher and was very faithful and diligent. At 79 she accepted an assignment with Ken in the nursery. Arleen was heavily involved in Pennies By The Inch for Primary Childrens Hospital and enjoyed being an election judge every year for many years. Arleen is survived by her daughters, Marsi (Cal) McCrary of Ogden, Linda (Allan) Dalpias of North Ogden, Lori (Ray) Holbrook of Plain City, and Deann (Curtis) Kennedy of Farr West; 15 grandchildren, and 36 great-grandchildren. She was preceded in death by her husband, Ken; great-grandson, Logan Jay; her parents, and all of her siblings, Lyle Butters, Beth Smith, James Marlin Baggs, Dale M. Butters, and Gay Kershaw. 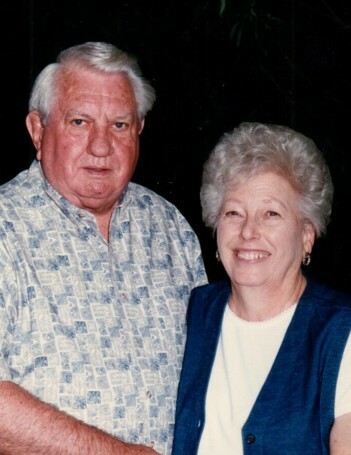 Funeral services will be held on Tuesday, April 23, 2019 at 11 a.m. at the meetinghouse of The Church of Jesus Christ of Latter-day Saints, 250 West Elberta Drive. Friends may visit with family on Monday from 6 to 8 p.m. at Lindquist’s North Ogden Mortuary, 2140 N. Washington Blvd. and Tuesday from 9:30 to 10:30 a.m. at the church. Interment, Ben Lomond Cemetery, North Ogden. The family suggests memorial contributions either to the Utah Chapter of the Alzheimer’s Association or a charity of your choice. There's still time to send flowers to the Visitation at the Lindquist's North Ogden Mortuary from 6:00 PM to 8:00 PM on April 22, 2019.